Many of us dream of starting our own businesses, but we just don’t know where to begin. There are also a lot of us who are already business owners or executives and we want new ways to improve the businesses we run, but we often have no idea what else we can try. Fortunately, one way to gain direction and learn even more about the world of business is through reading and learning what experts have to say. Instead of spending years learning through trial and error, we can gain guidance by studying what OTHER people learned from experience. Here are five great business books to read now! While a book can never replace the years of expert instruction and guidance that you can gain from a business school, this one will at least teach you the core basics of business and entrepreneurship. 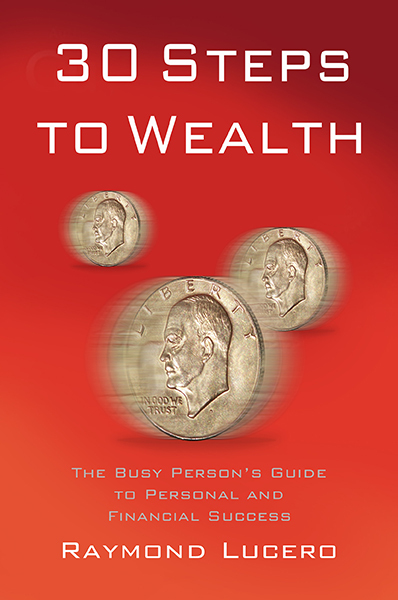 There are eleven main sections in this book: value creation (your product or service), marketing, sales, value delivery, finance, the human mind (basic business psychology), working with yourself (productivity and self-improvement lessons), working with others (leadership and management), understanding systems, analyzing systems, and finally, improving systems. Each lesson builds up on each other to teach you the things you need to know for running your own business. Don’t know the difference between the cash flow statement and the income statement? Don’t understand WHY you need to define your target market? Don’t know that you can sometimes sell more products if you INCREASE your prices instead of just making your products cheaper? This book can teach you all of that and more. Also, as you learn all the business terms and theories, you’ll start to understand WHY you must apply them to improve your own business. Business is not all about balance sheets and mission-vision statements or motivating employees and paying for ads. You need street smarts too. Mark H. McCormack founded IMG (International Management Group) and his company promotes and manages sports personalities and celebrities all over the world. Due to how his business works, he needed to deal with people. A LOT. In this book, he details a lot of what he’s learned throughout the years. If you want to learn more about how to gauge people’s trustworthiness, how to read people’s temperamentality, how to deal with difficult executives and more, then you should definitely read this book. Mark gives a lot of insight on everything he experienced in business here. Before you can ever sell your product or service, you must learn how to describe it well so that people will buy what you have. A description like “crushed wheat, yeast, unhatched chicken offspring, and plant products heated for several minutes” won’t get attention and sales… but a description like “freshly baked caramel chocolate cake that you and your family will love, buy one now for only $10” likely will. The first half of the book will teach you how to write eye-catching ad copies and how to avoid common mistakes. If you’re new to making promotional materials, you WILL need to read this. You might not know it, but that “creative and funny” ad you made might just be completely ineffective at getting actual sales. By using the lessons you’ll learn in this book, you’ll avoid losing money on ineffective ads and you’ll likely increase the sales because you now make more effective promotional materials. Just click on the image link of the book below and see for yourself. There’s thousands of things going on in our lives and we simply don’t have the brain power to notice and remember every single one of them. While this isn’t fully a “business” book, if you don’t want your business to be lost in the chaos of today’s world, then you have to understand why some ideas become legends and why everything else is simply forgotten. Using an article (like this one) as an example, it’s the difference between people just seeing a bunch of boring text… versus people learning a potentially life-changing lesson that they’ll share with friends and family. This book will help you change the way you tell stories and descriptions and transform how people remember your product. While The Copywriter’s Handbook will help you write better ad copies, this one will help you make the stories you tell and the things you want to promote become much more memorable. If you want your customers to remember your products and your business, then you will definitely need to learn and use the principles in this book. A lot of marketers and business owners dream of “going viral”. Why wouldn’t they? Instead of paying a hundred dollars to promote your product to maybe a few thousand people and get no sales, going viral and getting seen by millions likely will lead to thousands of sales while establishing brand recognition. The problem is, going viral isn’t as simple as posting some cute ad for your product on the web. There has to be a compelling reason WHY people will want to share what you made with all their friends and family. Want an example? Hotmail grew exponentially when they added a “Get your free e-mail at Hotmail” line at the bottom of all emails sent through their service (one MILLION members in six months). The file-sharing service Dropbox started with a small waiting list, then they made a video guide that was customized with jokes and references for certain communities on the internet. Thanks to that, the people shared it and they grew from five thousand users, to 75 thousand, to nearly four million. While this isn’t an exact “how to” book, this will teach you the mindset that you need in order to “growth hack” your business and keep it growing BASED ON FACTS AND DATA and not just through trying out what seems “reasonable” or what’s been done before. In today’s world, the “genius” marketing and business boosting moves AREN’T attained by the usual big budget ad. It’s in the smart moves that have never been tried before and were simply perfect for your businesses’ current situation. How to look for those genius strategies and how to make your business grow from good to great is what this book aims to teach. 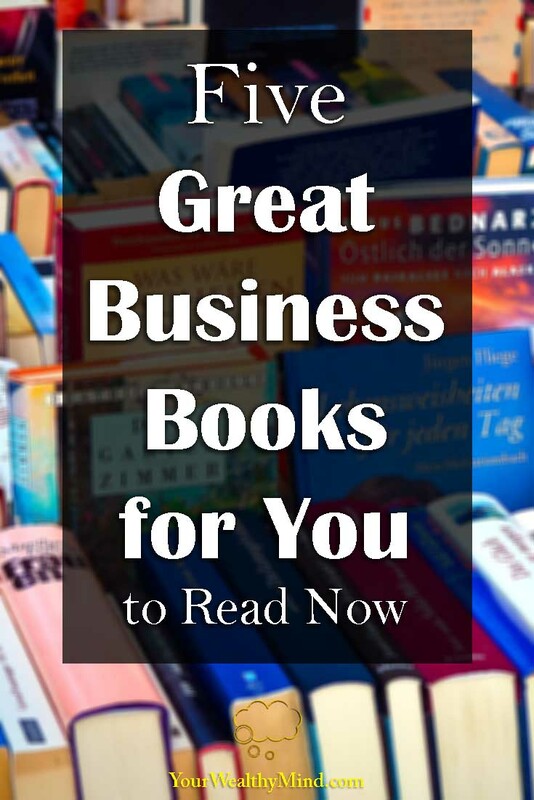 There you have it, five great business books that you have to read now. Just click on any of the picture links above to learn more! Ray looks like some pure winners here. I read a book that has nothing and everything to do with business: A Course in Miracles.Highly suggested reading for anybody who wants to have fun, work with love and grow a thriving business online. I haven’t read any of these; I’ll have to check them out!